Product Article Number (Market Facing Number) 6ES7322-1BH01-0AA0 Produ.. 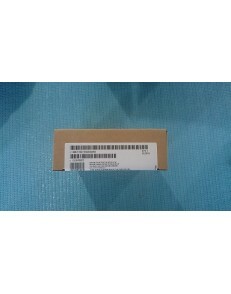 Product Article Number (Market Facing Number) 6ES7322-1BH10-0AA0 Produ..
Siemens SIMATIC S7-300, DIGITAL OUTPUT SM 322, OPTICALLY ISOLATED, FOR EXPANDED TEMPERATURE RANGE, 1.. Product Article Number (Market Facing Number) 6ES7322-1BL00-0AA0 Produ.. Product Article Number (Market Facing Number) 6ES7322-1CF00-0AA0 Produ..
Siemens SIMATIC S7-300, DIGITAL OUTPUT SM 322, OPTICALLY ISOLATED, FOR EXPANDED TEMPERATURE RANGE, 8..
Siemens SIMATIC S7-300, DIGITAL OUTPUT SM 321, OPTICALLY ISOLATED, 16 DO, 120V AC, 0.5A, 20 PIN 6ES7.. Product Article Number 6ES7322-1FF01-0AA0 Product Description SIMAT.. Product Article Number 6ES7322-1FH00-0AA0 Product Description SIMAT.. Product Article Number 6ES7322-1FL00-0AA0 Product Description SIMAT.. Product Article Number 6ES7322-1HF01-0AA0 Product Description SIMAT.. 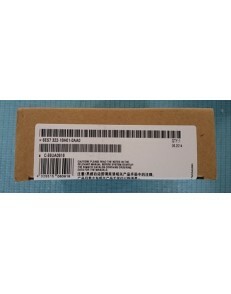 Product Article Number 6ES7322-1HF10-0AA0 Product Description SIMAT..
Siemens SIMATIC S7-300, DIGITAL OUTPUT SM 322, OPTICALLY ISOLATED, 8 DO (RELAY OUTPUTS), 40 PIN, 24V..